The ingredients used in making beer include water, hops, cereals and yeast. These provide vitamins, minerals and antioxidants to our bodies. Moderate consumption of beer promotes bone and heart health, reduces the risk of diabetes along with improving cognitive and psychological well being. Hence, beer has positive effects on bones, heart, the digestive system and skin and hair. These health benefits of moderate beer consumption may surprise you. Beer is 90% water, consisting of trace amounts of calcium, magnesium, iron, soluble fibre, zinc, manganese, fluoride, silicon and selenium. Beer is also particularly rich in vitamin B. The malt used in beer contains riboflavin, niacin, folate, vitamin B6 and B12 which provide essential health benefits. B-complex vitamins are known to help in metabolism and convert the food and drink we intake into fuel. 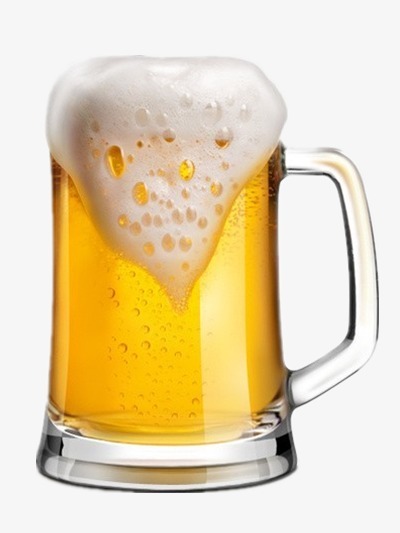 Dietary silicon can be found in beer, which is extremely important for the growth and development of both bone and the connective tissue. Beer is known to contain ethanol which works in preventing bone loss. The dietary silicon content helps in the growth of new bone tissue as well! Beer, when consumed in moderation, is good for the heart. Beer has an anti-clotting effect which helps keep the blood vessels healthy and clean. One beer a day can also help lower fibrinogen levels. The soluble fibre found in beer helps in lowering cholesterol levels. Beer increases arterial flexibility along with blood flow, which can cut down the risk of a stroke. It contains high levels of polyphenols, compounds which exhibit antioxidants and antiviral properties. This may come as a surprise to many, since consuming too much beer tends to leave you feeling bloated. But beer helps in making it easier to digest food. The bitter acids present in beer triggers gastric acids in the stomach, which is important for the digestion of food. It also helps restrain the growth of bad gut bacteria. The vitamins present in beer are good for reducing acne while increasing the natural glow of the skin. Beer is also known to act as a simulator for hair growth. The malt and hops used in making beer are considered as exceptional ingredients for hair growth, making it more healthy, shiny and soft. The only drawback is the strong smell it emits. Remember that alcohol affects every person differently. Beer consumed moderately, can be included as a part of a healthy eating plan. When added in food, it imparts an appetizing flavour to it too.